These are the latest shorts from Canterbury. Drawstring waist keeps these shorts as loose or as tight as you like. 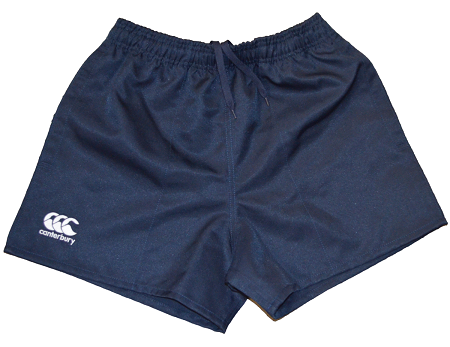 These shorts have deep side pockets, similar to traditional cotton shorts, perfect for your mouth guard. The lighter, 100% polyester material keeps you dry by wicking away moisture but also drys quick to keep you comfortable.